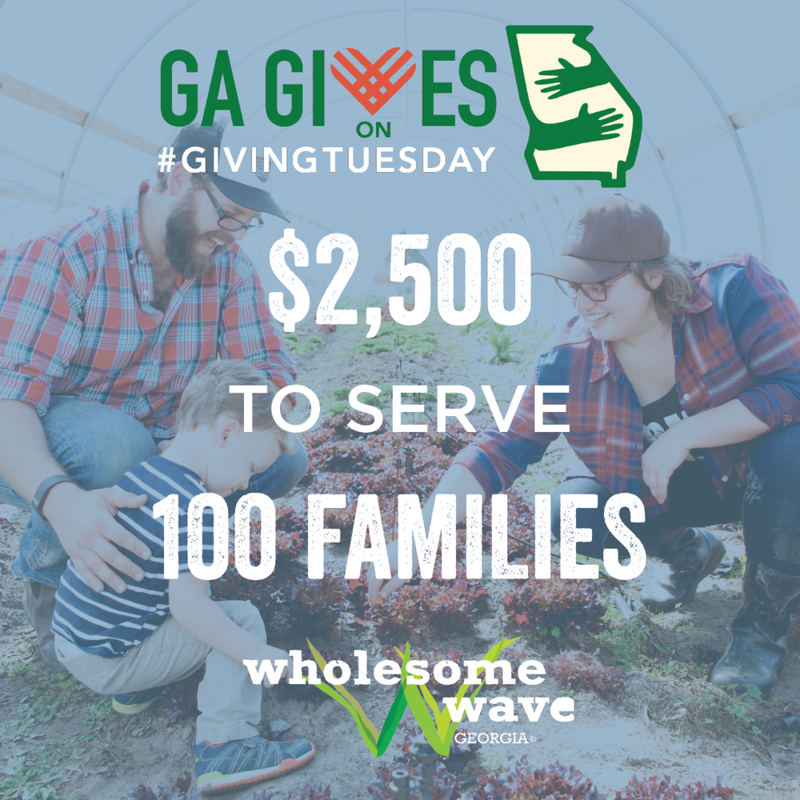 This #GivingTuesday, November 28, our goal is to raise $2,500 to provide fresh, healthy, Georgia grown food for 100 families in need. We need your help to reach our goal! Create a Facebook fundraiser to benefit Wholesome Wave Georgia. Use our #GivingTuesday Toolkit to send emails and post on social media. Make a donation to Wholesome Wave Georgia!